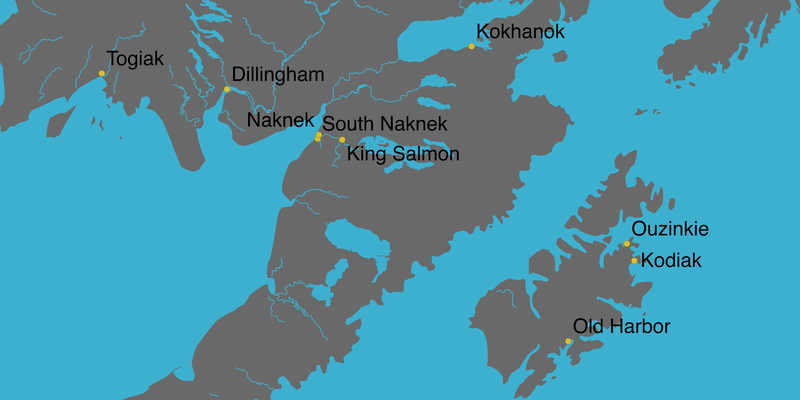 The project is based in fishing communities in the Bristol Bay and Kodiak Archipelago regions of Alaska. We interviewed residents of Togiak, Dillingham, Naknek, South Naknek, King Salmon and Kokhanok in Bristol Bay and the City of Kodiak, Ouzinkie, and Old Harbor in the Kodiak Archipelago. In April/May 2015, we conducted a survey of 7th-12th grade students in each study community. Survey results can be found on the Results page.